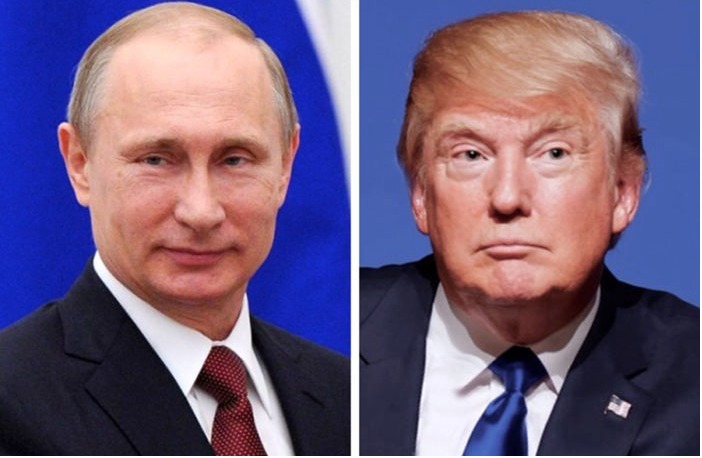 With the eyes of the world fixated on the two leaders, Trump has chosen to side with America’s greatest adversary, Russian President Vladimir Putin, during the Helsinki conference held last Monday. Following a private meeting between the two (which was sealed off to media presence), Trump and Putin reassured to the world the two nations have embarked on a new chapter in their relationship. When confronted with questions by reporters regarding Russia’s meddling in the 2016 U.S. elections, Trump has shrugged off any such accusations and had placed the blame primarily on Americans (including his former opponent Hillary Clinton). Trump’s assertions came days after the Justice Department indicted a dozen Russian nationals for interfering in U.S. elections, and hours after a Russian spy was arrested on U.S. soil for the same reason. Trump thus bluntly defied his own intelligence agencies, which remain unanimous in their conclusion that Moscow was directly involved in manipulating the 2016 elections in Trump’s favor, and gave America’s aggressor a pass on an international stage. Prior to his meeting with Putin, Trump spent the week trailing across Europe and eviscerating key alliances with the continent’s top leaders. Among his catalogue of ‘achievements’ were berating German Chancellor Angela Merkel, undermining the legitimacy of British PM Theresa May and urging her to sue the European Union to achieve a more hardline Brexit deal, naming the EU a trade foe, and implying that America’s commitment to the N.A.T.O alliance is questionable. The combination of Trump’s betrayal of his European allies and his capitulation to Putin in Finland indicate that it isn’t America’s interests the President is concerned with, but rather those of Russia. Multiple theories have been put forth to explain Trump’s indebtedness to Putin, among which are Trump’s murky real estate dealings in Russia and his personal involvement in the Russian campaign to interfere in the 2016 elections. Back home, Trump’s remarks have stirred a nationwide controversy. As he returned to the White House, Trump encountered furious protestors carrying signs and belting visceral chants condemning his performance in Helsinki. Criticism was also directed at the President from both sides of the isle, with Republicans and Democrats expressing different levels of discontent with the President’s remarks. His harshest critics defined his comments as an embarrassing and dangerous coddling of the nation’s fiercest enemy. Minority Leader Chuck Schumer has also called for further investigation of the President’s ties to Russia and an immediate release of his tax returns. Alas, some key Republicans, such as House Speaker Paul Ryan, have been more mild in their dissent, and focused their criticism on Putin and Russia. To contend with the growing pressure, which has penetrated his own administration, Trump has recently backtracked on his comments, saying he accepts his intelligence committee’s allegations against Russia. Yet, in a typical Trump fashion, his statement was vague and riddled with inconsistencies, which rendered it virtually meaningless. It seems that one word is missing from the mainstream current of criticism targeted at Trump: treason. The failure of key government leaders to define the core issue here, which is the President’s blunt betrayal of his own country, casts doubt as to whether the hype over his comments will result in substantial action to hold Trump accountable, or fade away as yet another scandal. As stated by Presidential Historian Michael Beschloss following Monday’s press conference, “We are living through a national emergency,” of a magnitude unprecedented in U.S. history, seeing as no other president has ever publicly sided with the country’s enemy before. Now is the time for Americans from across the socio-political map to unite in their clamor demanding justice. It is crucial that people across the country remain aware of the details of the Mueller investigation as it unspools, and pressure their elected officials to take tangible measures to save the country from its own leader.